A fanciful opening shot has a swooping camera pass over a matte background with a foreground of impressive models representing London as it was circa 1600. The camera zooms toward the Globe Theatre, complete with wafting flags, before cutting into the interior of the theater. A play is prepared to begin, and commoners are milling around drinking swigs of beer and buying food from peddlers. Then the curtain is pulled back and Chorus (Leslie Banks) appears to introduce the play. 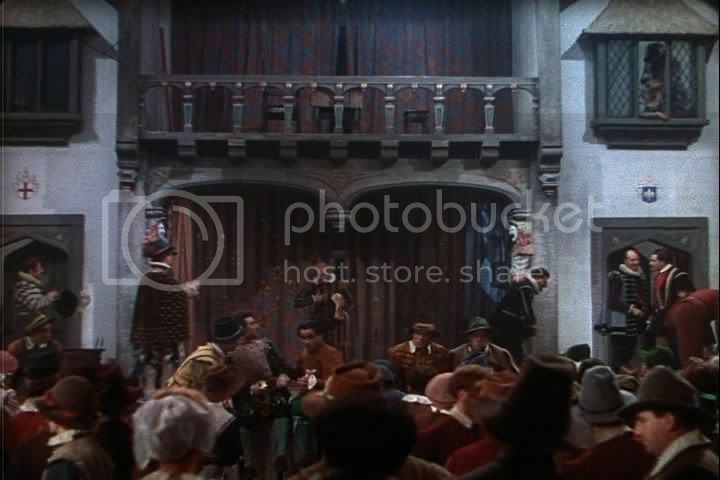 The opening scene is played out with with the Archbishop of Canterbury (Felix Aylmer) and the Bishop of Ely (Robert Helpmann) in front of this slightly post-medieval audience. There is plenty of laughter, and the story starts to take on a less somber atmosphere than Kenneth Branagh’s 1989 remake [review here]. The camera moves backstage with some of the players, and they are silent here to preserve the purity of Shakespeare’s written words, to ensure nothing but his lines are spoken in the film. As Chorus introduces the second section, however, he describes how the audience is to create in their imagination various places, such as Southampton or the fields of France. As he does this the film moves through fog to a more traditional cinematic setting, and from here out (until the very end) the story is presented as a film and not a staged play within a film. This is the first and most abrupt of the tonal shifts, and perhaps would have been more effective for mid-1940’s audiences instead of today’s viewers. The story will be familiar to anyone with knowledge of Britain’s history or Shakespeare’s play. 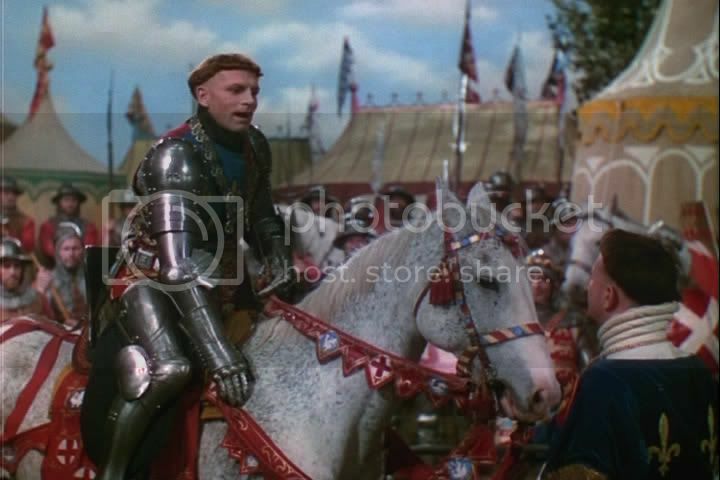 Henry V (Laurence Olivier) is a young king. Once he learns that the land of France is his rightful inheritance he endeavors to regain it from King Charles VI (Harcourt Williams), with as much honor and as little bloodshed as possible. His methods are admirable, though his ultimate aim will seem dubious to a modern audience. The story is interesting, as is the character of Henry. Here, like in more modern films like the 1989 remake and even Thirteen Days [review here], the king is shown wrestling with his duty to country, his duty to himself, and his moral character. However, Olivier’s version is not as successful at conveying the magnitude of his decisions. Instead, Olivier’s focus often lies elsewhere. Some of the most interesting aspects of Henry V are concerned with comparing this version to Branagh’s, the other better-known adaptation. On its own Olivier’s Henry V is acceptable as cinema, but it does provide ample room for comparison with Branagh’s adaptation. Most striking is how much humor Olivier injects into the film. 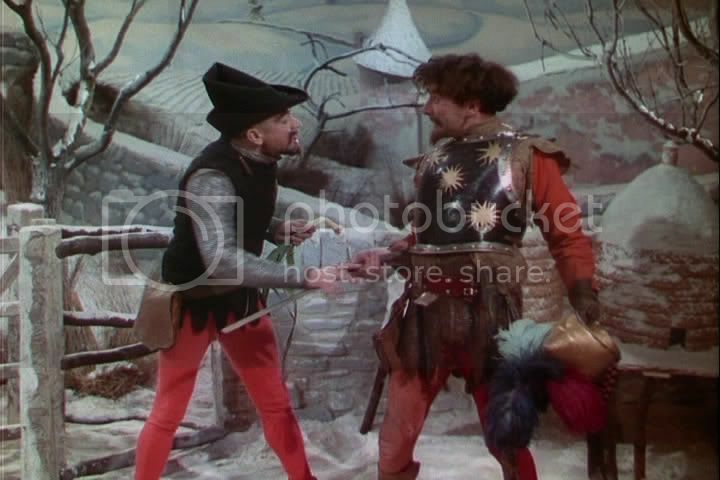 The audience-provided laughtrack at the beginning is the first clue that there will be some slapstick involved, and I suspect many of Shakespeare’s jokes worked more effectively on 1600’s Englishmen. Olivier also cuts a scene that Branagh included, one that emotionally portrayed Henry’s internal turmoil. As one of his friends is caught stealing from a church, Henry realizes he must execute the man for disobeying orders and besmirching his intentions for the land of France. Olivier sidesteps this scene, whether in an effort to be more lighthearted or because it was ponderous in its initial form, is impossible to tell. Henry V suffers the most from radically contrasting tones. Branagh’s Henry V is primarily told in close-ups: even the battle sequences focus on the horses’ hooves and the mud and blood splashing on the soldiers. A consistent approach to portraying the action helps fulfill Chorus’ request for the audience to imagine themselves elsewhere. Olivier, however, chooses a startling variety of shots, sets, and scenery to tell the story. Ranging from the opening scenes portrayed in the Globe Theatre, where there are young boys visible with bosom-stuffers to portray the women, to later scenes where the women become actual women (led by Renee Asherson as Princess Katherin), the film never strikes a consistent visual quality. It is supposed to be staged at first, then more realistic as Henry leads his troops across the French countryside. But then a bizarre scene where a Welsh Duke wears a leek on his head to confront another English noble interrupts this realism. As they argue, and he forces his enemy to eat leeks, he grabs a sword by the blade and wacks the offender several times with it. This leads one to assume that the blade is fake, and they are indeed watching a staged play. Any sense of realism is lost, even though there are painted backdrops and a lack of laughing audience members. The bright mid-1940’s Technicolor is beneficial, as it makes even the less-than-realistic battle sequences pop with brightness. A number of slow pans are impressive as they meld the matte paintings with models and life-size sets. 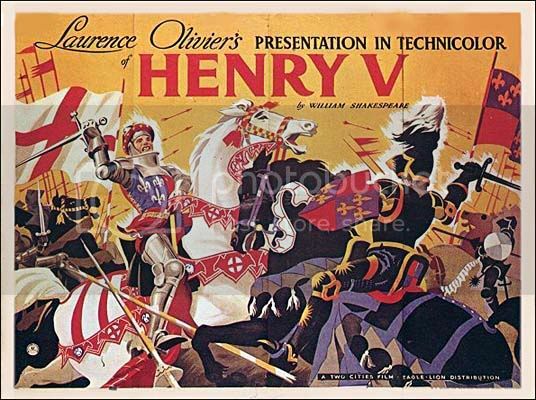 All of this inter-dialogue action is silent, and is the best Olivier can do to craft Henry V into film form. And the film is not bad, even if it is inconsistent in tone from start to finish. Branagh’s version is more refined and thoughtful, even though Olivier also manages to imbue Henry with a sort of humanity from time to time. 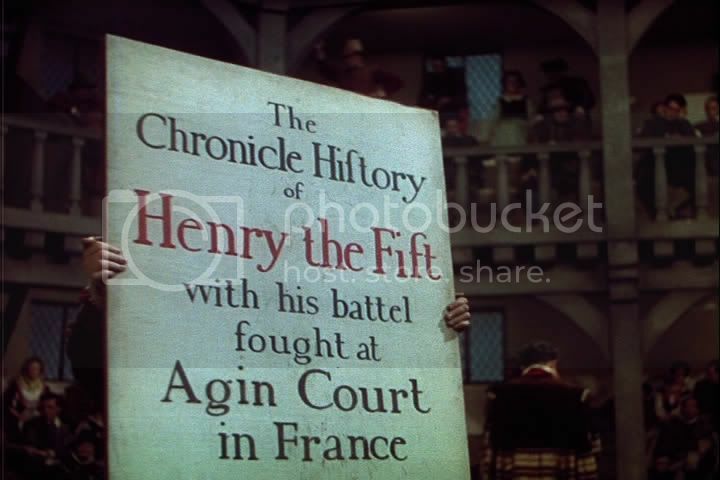 Even this endeavor eventually falls short of Branagh’s achievement, however, making Henry V or: The Chronicle History of King Henry the Fift with His Battell Fought at Agincourt in France of little interest to anyone outside of Shakespeare or Olivier enthusiasts.